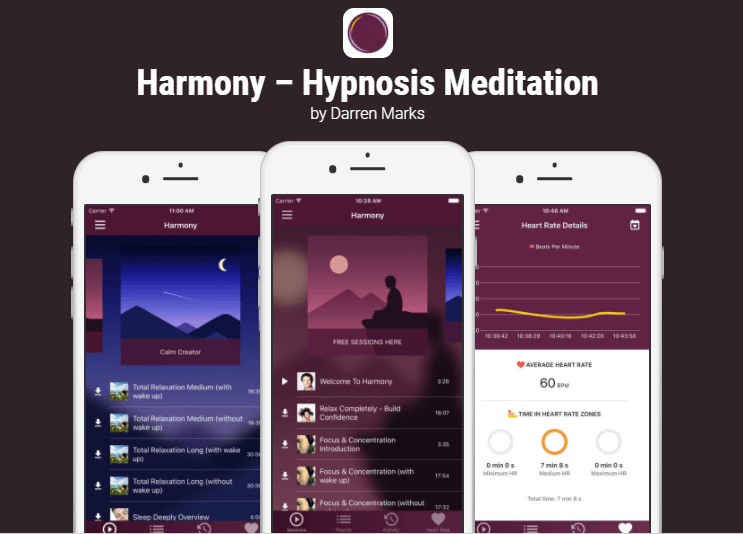 Harmony contains three free hypnotic meditations. Listen to one of the sessions every day for the next five days and notice the difference in how good you feel. You can also access dozens of sessions on multiple subjects through our subscription service, with new topics being added regularly. We were one of the first hypnotherapy companies in the world to provide this type of material in app format. 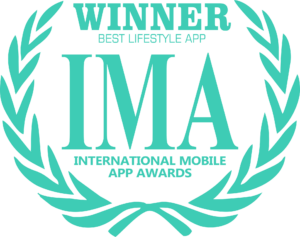 Our apps have won at The Best App Ever Awards and Best Mobile App Awards and have been downloaded more than two million times around the world. This involves different suggestions or metaphors being delivered separately yet simultaneously through the right and left headphones. The effect is deeply hypnotic and has the benefit of helping the unconscious mind to accept beneficial suggestions with less conscious interference. When the brain is exposed to rhythm, the rhythm is recreated in the brain in the form of electrical impulses. This is why relaxing music helps us unwind and dance music can get us moving. On most of the hypnotherapy recordings within Harmony, you will hear alongside the vocals, music and other sound effects, small, pulses of sound, designed to help you quickly access a deeply relaxed hypnotic state. WOW, what an app! I cannot recommend this strongly enough. I owe Darren Marks a great debt of gratitude for his deeply intelligent approach to helping people with pragmatic, on-the-mark therapy… You deserve the life you want, and Darren’s approach can truly help you build it. I didn’t expect this would have an effect on me, but wow this is amazing. I have only listened a few times but already I am feeling super confident. I’m disappointed when it finishes as I just feel so marvelously relaxed, like I’m on cloud nine! You can make massive improvements to your life with self-hypnosis and meditation in terms of personal and professional calm and confidence and the simple feelings of health and well-being. Our mission is to bring daily experiences of calm and focus to as many people as possible. So just relax, try out your free sessions today and enjoy your journey to inner harmony, peace and success. Focus and concentration on wake up. I have used this several times and I have fallen asleep straight away. It is amazing . I listen to this app at night especially after a stressful day. I have yet to listen to one until the end as it is so relaxing, good headphones are a must as it adds to the whole experience. I used the free sessions within this app for a week before deciding on going premium. I can’t say enough how much Darren has helped me through a simple app! Darren’s voice is lovely and soothing. Thank you so much for creating this app. Worth every penny and then some! I absolutely love this application, I have been using this for around 4 years, let me say you will not find better, believe me as I have tried many. Perfect for different people experiencing different issues, personally I find it has reduced my anxiety on every occasion. I do recommend this 100%.